Aspen’s premiere action-adventure fantasy epic returns in this all new jumping-on point for new readers! 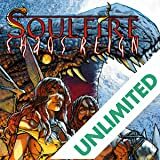 Following the events of ASPEN UNIVERSE: REVELATIONS, the world of SOULFIRE has a new status quo, as magic and technology have intertwined as never before! 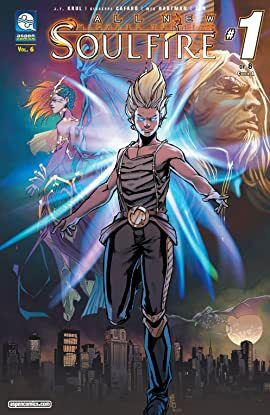 Meanwhile, Soulfire’s Grace, Malikai and friends now must also discover that things are not as they seem in the year 2211—including new—and old—dangers that seek to eliminate them! 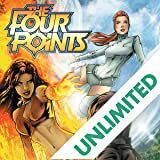 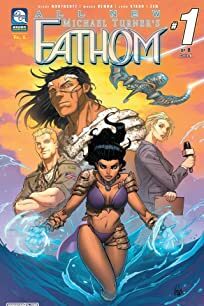 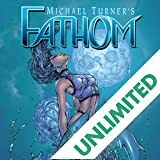 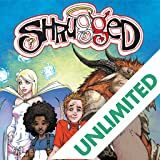 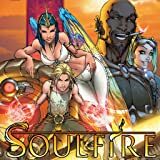 Nearly fifteen of the best-selling series created by superstar artist, the late Michael Turner, have culminated in this brand-new SOULFIRE adventure by Aspen’s talented creative team! 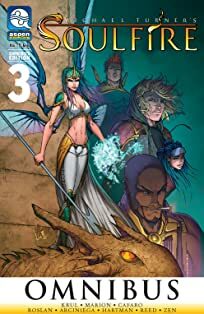 Please join writer JT Krul, artist Giuseppe Cafaro, and colorist Wes Hartman as they bring readers back to the magic, myth, and everything you loved about SOULFIRE!